Soil pests such as Potato Cyst Nematode (PCN), Free-living Nematode (FLN) and Wireworm can cause considerable damage to crops. 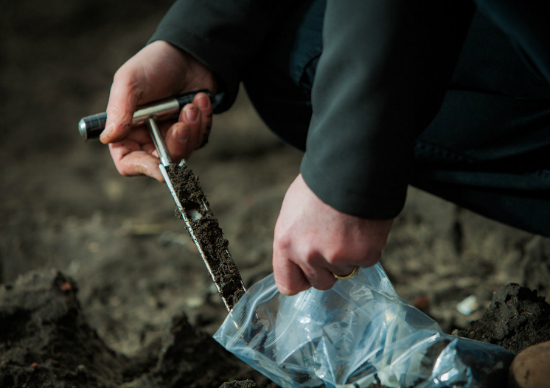 PCN alone is the most important potato soil pest, costing the potato industry £25 million per year and additional costs are incurred by processors and retailers due to reduced crop quality from the effects of other pests. There are two species of PCN, Globodera rostochiensis and Globodera pallida. G. pallida (white or pale cyst nematode) has become predominant due to the cultivation of varieties with resistance to G. rostochiensis (yellow or golden cyst nematode). Both species survive in soil as cysts, which can contain more than 500 eggs, and can persist for many years. The eggs contain juvenile nematodes and in the presence of a potato crop some of the juveniles hatch and invade the potato roots. Diversion of nutrients from the roots to the feeding nematodes leads to poor growth, nutrient deficiency and water stress in the crop. Bringing REVUS into play earlier in the programme has the benefit of protection locked into the leaf wax layer, which gives prolonged protection through its movement into new growth in the early part of the season. Later in the season, AMPHORE PLUS equips growers with the ability to apply a robust loading of difenoconazole at each application to help protect crops from Alternaria. Weed competition can have a significant impact on potato yields; as well as affecting tuber size and quality. Their presence can also encourage certain pests and diseases. Weeds should be tackled early, and DEFY applications close to crop emergence provide a long period of weed-free establishment. DEFY and RETRO combinations offer growers greater options and practical opportunities to achieve effective weed control.